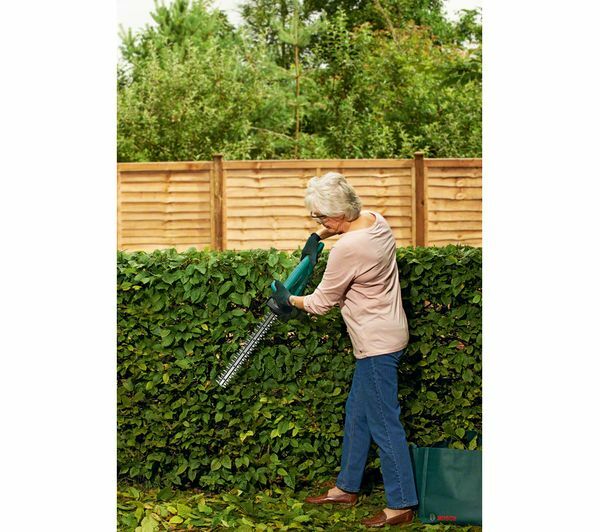 For a compact and lightweight gardening tool, the cordless Bosch EasyHedgeCut 12-450 Cordless Hedge Trimmer is an ideal choice. 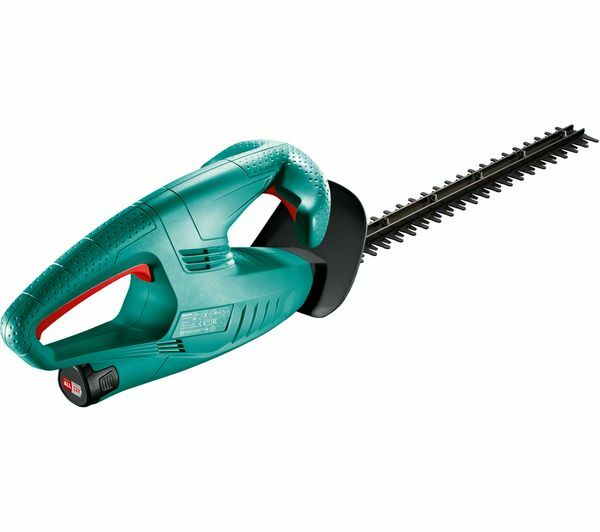 At just 2 kg it is easy to use in your garden, while the rechargeable battery means no irritating extension cords are necessary. 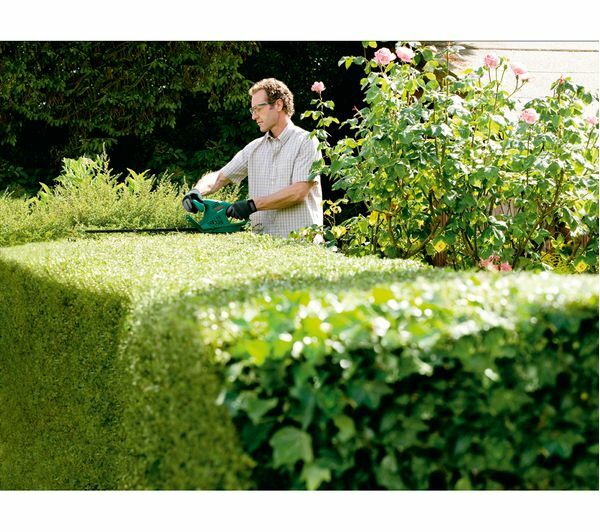 The EasyHedgeCut utilises Bosch's Anti-Blocking System, which helps to ensure continuous cutting, so the blades don't stop working while you're trimming. 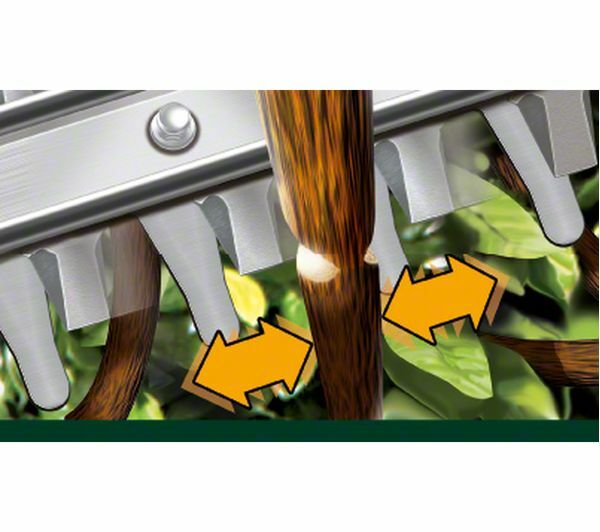 The 450 mm long blades are diamond-ground to ensure they deliver the cutting performance you'll want when landscaping. 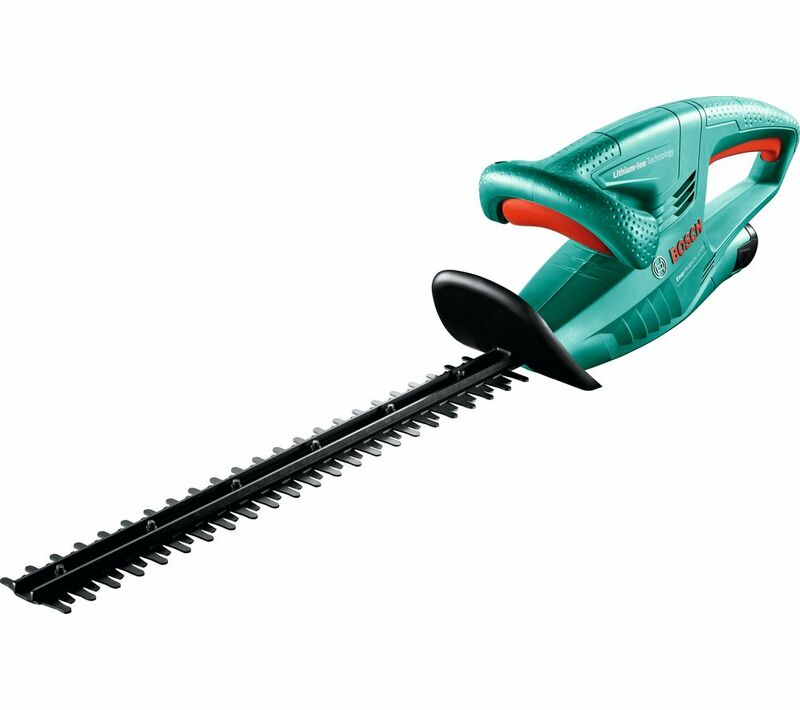 To ensure the battery lasts as long as possible the 12-450 features a Syneon Chip, which delivers only the energy needed, so you aren't wasting power.